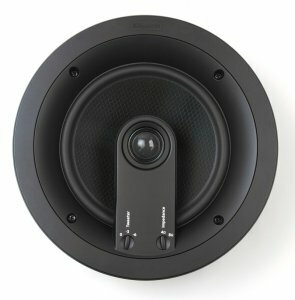 Klipsch PRO-6800-C In-ceiling Speaker (pair) Klipsch PRO-6800-C In-ceiling Speaker (pair) - $369.99 : New Audio & Video, New Electronics at Lowest Prices! the benefits of the titanium counterparts of the 4000 series with a noticeably smoother, more balanced reproduction, particularly in the upper vocal range of 2kHz – 8Khz. This results in a warm, natural, and lifelike sound while still displaying the exceptional dynamics and power inherent in a Klipsch speaker.